A sofa bed has a been a popular addition to homes for a long time. They give you the option to have space for guests, without needing to have a spare bedroom. If you want to go for an even more compact option, you can also consider lounge chairs that convert into beds. The cute chairs are ideal if you want something that folds out into a single bed, rather than a double. You can use them for kids or for adults for a couple of nights. You might also simply want to fold them out so you can really relax in front of the TV or with a good book. How Do They Work? Lounge chairs that convert into beds, or sleeper chairs, can function in a couple of ways. The configuration you will see most often is that the seat of the chair is folded in two, which you can unfold, and the back of the chair folds back to form a single bed. There are extra legs on the fold-out portion to support it. Some other chairs will simply have a back that folds down to lie flush with the seat. These convertible chairs often don't have arms, to make them more comfortable and less restrictive as a bed, although some of them do. What Styles Can You Find? If you choose the right convertible chair, you can have a piece of furniture that does several things at once. 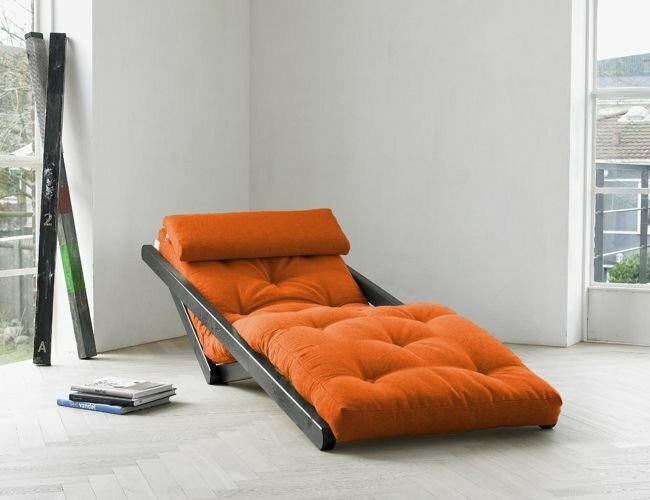 It can be used as a chair and lounger, a chaise with more space to stretch out, and a bed too. It's a brilliant addition to your living room or perhaps your bedroom, especially if you don't have a lot of space. You get several pieces of furniture in one, and it only takes up as much space as a normal chair. Choose a convertible lounge chair for your home to add something that's both unique and useful.